Smartphones now number in the billions worldwide and have become a necessity for just about everyone. We use it for everything from playing games to storing personal information such as our contacts and even our banking information. It’s no surprise many cybercriminals target smartphones to gain access to this information. 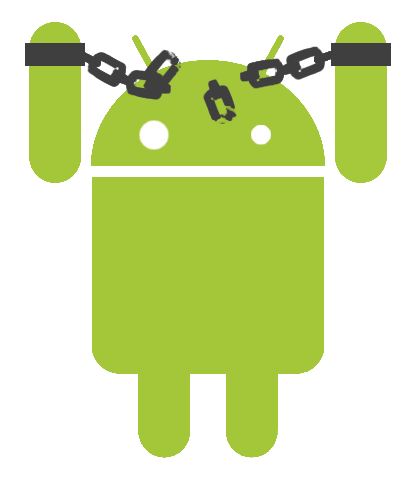 While all smartphones can be hacked, Android— even with its current OS, Nougat—faces the most security issues due to its open nature and fragmentation. However, there are ways to protect yourself against potential hackers, malware and more. Security experts have long warned people not to connect their laptops to public networks. 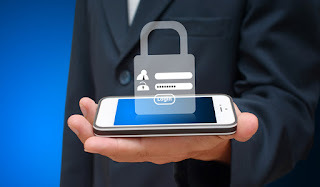 While many take the advice seriously for their computers, when it comes to smartphones, many people have no problem using an unsecure network to access personal information. However, the same problem exists for smartphones as for computers. Anyone can potentially access your connection to see all of the data you send through the network. This is where a VPN is useful. It secures your internet connection through a remote location, guaranteeing all the data you send and receive is encrypted. Not only does this prevent hacks, but it also provides some privacy when browsing the web. So the next time you connect to a WiFi hotspot, make sure you go through a VPN. One of the easiest ways for people to steal your information is by simply swiping your phone. If you don’t have a PIN or password for the lock screen, they can easily access all of your personal information. As vigilant as you might be, there’s still the possibility that you lose or, worse, someone steals your phone. 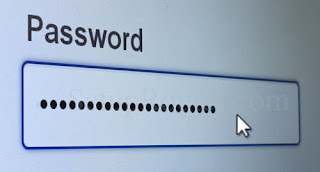 The easiest way to prevent people from accessing your apps and contacts is to have a password. Shockingly, 34 percent of Android users don’t even use this simple feature. This simple step can deter potential hacks. 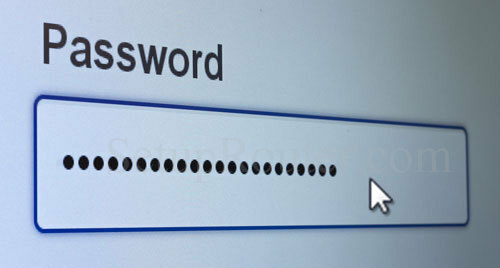 If you want to go a step further, you can also assign passwords to specific apps to keep them even more secure. While it might be a pain to type it in each time you use it, at least you’ll have another layer of protection. 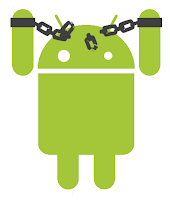 One of the best ways to avoid any viruses or malware from being installed on your phone is to download apps directly from the Play Store. With that said, even this doesn’t assure your security 100 percent of the time. While Google does keep an eye on potentially harmful apps, some do slip through the cracks. 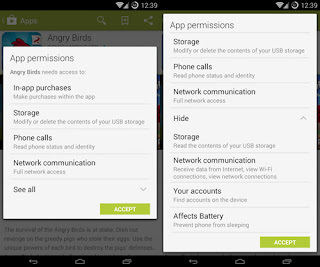 The best way to protect yourself is to pay attention to the permissions when installing a new app. This generally pops up before installation and will show you all of the other features on your phone the app wants to access. Some of these may make sense. For example, a photo editor might request access to your camera. However, there are times where it might not make sense, such as a calculator app asking for access to your contacts. If you do see something suspicious, do not install the app, and contact Google to flag it as potentially inappropriate or harmful. These options are especially useful for people using an older version of Android that does not already have these features in their Android Device Manager. Of course, a security app is only as good as the user, so it’s still up to you to steer clear of malicious sites, emails and apps. Once the malware is installed, a security app cannot prevent it from infecting your device. These four tips can help protect your privacy and keep your device more secure. Remember to update your device when Google releases a new security update, as these often patch vulnerabilities hackers have taken advantage of. The best rule of thumb is to stay alert and read the fine print whenever downloading anything. It might take some time, but in the end, you’ll be safer. What other ways do you keep your smartphone safe from hackers? Let us know in the comments below. About the author: Cassie is a freelance technology and security writer. She believes everyone should strive to protect his or her privacy whether on a computer or smartphone.